Some Meroitic texts mention gods, dignitaries and priests of Atiye. 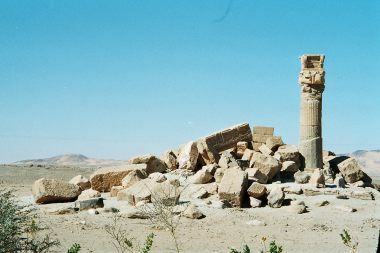 According to Audran Labrousse, Atiye perpetuates the name given by the Egyptians of the New Kingdom to a place called Hut Tiy (hwt Tiy), the temple of the queen Tiy. Today it is still called Adeye (Atiye) or Sedeinga. 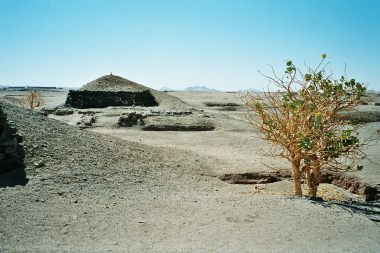 According to the pre-historian Jacques Reinold, Sedeinga has Neolithic remains. A large necropolis extends for almost a kilometre from north to south, to the west of the Temple. The excavations of Michela Schiff Giorgini began in 1963. In an area that today is desert, it is no more than a mass of blocks of sandstone with a single column standing, with a Hathor capital. The grooved shaft carries the name of the queen on two sides. The Hut Tiy is associated with that of Soleb, which is located about 15km further south. Mid-way between them, the speos of Jebel Docha, a rock-cut sanctuary in a mountain by the banks of the Nile, attests the Egyptian presence since Thutmose III. The investigations of the French Archaeological Mission of Sedeinga confirm that no other structure was erected before the Hut Tiy. The temple is orientated east-west and seems to have been preceded by a colonnade. According to the drawings of R. Lepsius, the hypostyle hall included sixteen columns with Hathor capitals. At the rear, towards the west of the hypostyle hall, a door would have led to the antechamber that gave access to three sanctuaries. According to Audran Labrousse, the iconography of the reliefs seems to be in accord with the rise to power and the coronation of the sovereign Amenhotep III. The lintel of the door that led from the vestibule to the hypostyle hall is unique. The publication by E.A. Wallis Budge in 1907, shows in the upper register the queen Tiy with the body of a lion in a walking attitude and a human face wearing a modius (circular head decoration sometimes with a crown superimposed) similar to that worn by the queen Nefertiti. The lower register is decorated with three cartouches on which are superimposed feathers of Maat: the name of the queen is surrounded by those of Amenhotep III (Neb Maat Ra). Among the blocks there are two scenes of the ritual race of the king which bring to mind the feast of Heb-Sed. As at Soleb, the god Amun and the deified king Amenhotep III are worshipped. The queen is associated with this cult in the form of the goddess Hathor. During the Napatan and Meroitic periods, it is perhaps in the Hut Tiy that the goddess Isis and the god Horus are worshipped. This necropolis of more than 200 graves extends to the north of the Hut Tiy. It crosses two wadis and covers more than 600m to the south and 200m from east to west. The superstructures of the graves, made of mud-brick or of black schist are of a pyramidal shape. Their height, with a very steep slope, could reach between 3 and 9m. Oriented east-west, the chamber was accessed through a descendary that could be as long as 17m. Some complexes had in their sub-structure an antechamber and a chamber. 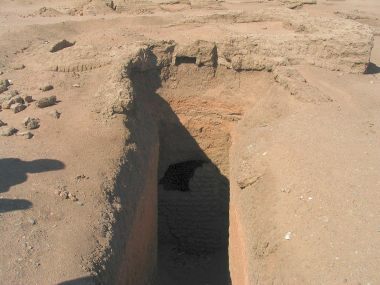 When the earth the grave was dug into was too friable, the chamber took the shape of a shaft covered by a mud-brick vault that supported a fill. The excavators have found modest inhumations: slipper shaped tombs where the deceased was arranged in a small niche in the chamber, or graves with a lateral cut, where the deceased was placed in an extended position on the main axis of the shaft. The funerary material: besides some bases of wooden coffins, traces of shrouds made of a net of beads, ceramics and perfume burners, numerous bottles, flutes, caliciform cups and globular recipients have also been found. The most beautiful finds are a pair of footed blue flute glasses decorated with gold leaf, representing Osiris seated on a throne. Carriers of offerings process in front of him. An inscription reads Drink (to) live. Without doubt this is a reference to the god of resurrection, Osiris, who since the oldest antiquity is described 'as the one of the wine'. In 1963 a group of nine pyramids located at about 500m from the Hut Tiy intrigued the archaeologists. They cover the Neolithic burials on the highest point of the site. 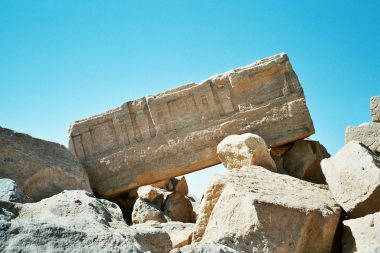 The most important one (each side measuring 9.8m) in black schist, has the footing of a door jamb, bearing the name and the silhouette of Taharqo. The chamber had been robbed but still presents the remains of a male body of some fifty years of age. Some sheets of gold leaf confirm the presence of rich funerary goods. 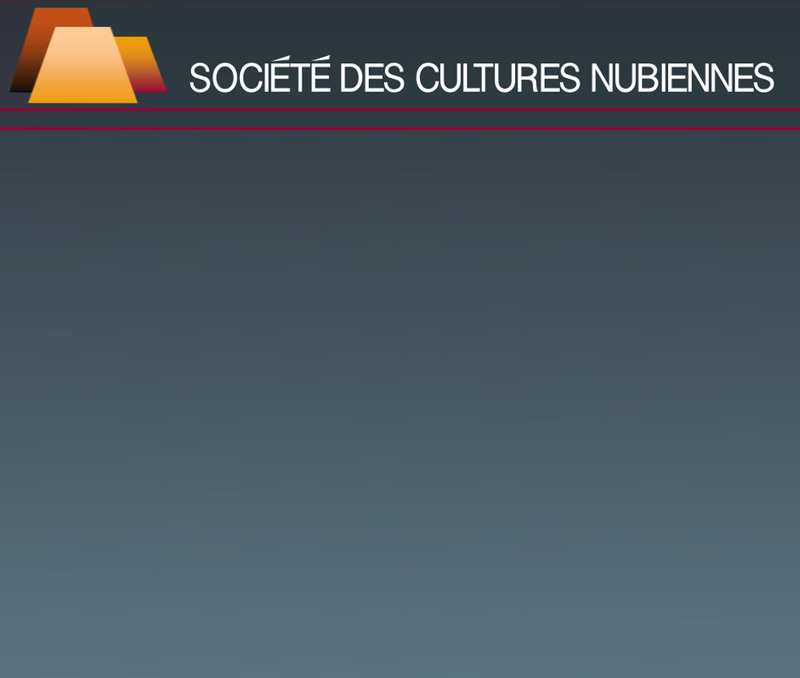 Audran Labrousse wonders whether it is the burial of the sovereign, or was he buried at Nuri, as Reisner thought? The door jamb is perhaps reused from a building erected in the Hut Tiy under Taharqo. The excavations have revealed, at the south of the Hut Tiy, in front of a long vein of quartz that appears like a wall, a settlement of the Christian period: located near a small church, remains in mud brick could have belonged to a monastery. 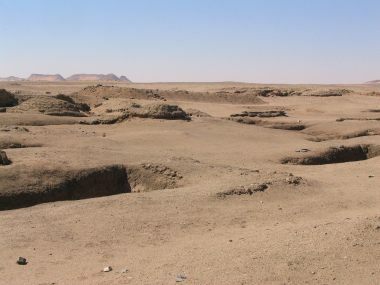 The cemetery prolongs, to the south, the Napatan and Meroitic necropolis.